Four Way Books, 9781935536949, 88pp. The Children Are Reading inhabits childhood spaces, physical and imaginative, through the looking-glass of grown-up longing. 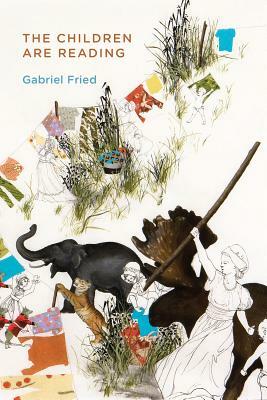 GABRIEL FRIED is the author of Making the New Lamb Take, winner of the Kathryn A. Morton Prize, which was named a top poetry collection of 2007 by Foreword Reviews and the St. Louis Post-Dispatch. He is also the editor of an anthology, Heart of the Order: Baseball Poems, and longtime poetry editor of Persea Books. He teaches in the creative writing program at the University of Missouri.